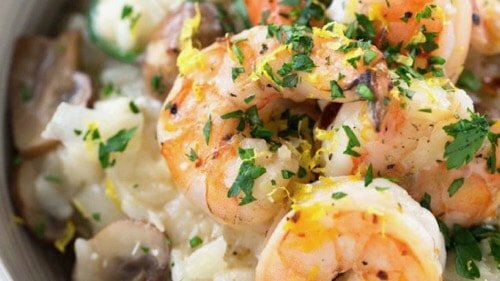 There’s nothing quite like a warm bowl of keto garlic shrimp mushroom risotto. This is definitely a recipe for wonderful deliciousness! There's nothing quite like a warm bowl of keto garlic shrimp mushroom risotto. This is definitely a recipe for wonderful deliciousness! Remove from heat and nom nom nom!